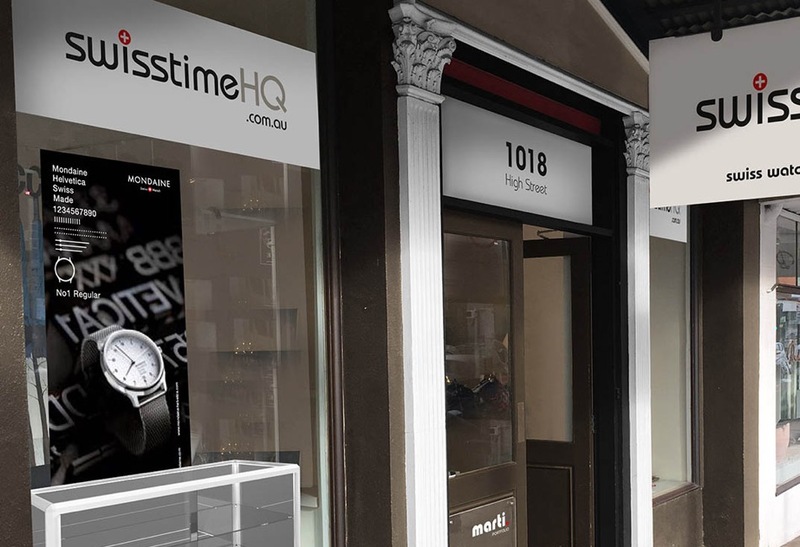 SwisstimeHQ is a Watch centre for Swiss Made Watches and unique Fashion Jewellery. Traser Watches, Traser H3 Swiss Made, Mondaine Watches & Clocks, Jowissa Swiss Watches, Rodania 1930 Watches, Manfred Cracco Swiss Made and XEMEX Swiss Watch can all be found here. Danish fashion Jewellery brand Dansk Smykkekunst as well as many hand-made individual one-off pieces from European, Australian and New Zealand artists can be found in our store alongside our Swiss watches. Swiss Watch Service: here at swisstimeHQ we also service and repair all other Swiss Made brands with Swiss-expertise. Swiss-born and educated, Mr. Marti embarked on a Watchmaking career in Schaffhausen, Switzerland. Well versed with the fine workings of IWC (International Watch Co, Schaffhausen) Omega, Rolex, Patek Philippe, Audemars Piquet, Cartier, Piaget, Tag Heuer, Baume & Mercier, Blancpain, Corum, etc. at the time, he nevertheless furthered his career with training whilst working in Zurich and became a specialist watchmaker for 'Sonic' or ‘Tuning-Fork’ movements, championed by Swiss watch manufacturers Eterna, ESA and Bulova. Migrating to Australia he soon leads the team in Melbourne for the then Swiss based General Watch Group, which encompassed iconic brands of Longines, Rado, Eterna, Mido, Certina, etc. as well as well know Swiss Watch Movement manufacturers ETA and Ebauches Electronic SA (ESA), now all are part of the Swatch Group. Under his guidance at the time, the Service Centre is appointed official Service Centre for famous brands such as Cartier, Audemars Piguet, Piaget and others. Today, Mr. Marti oversees the operations of importer, distributor and service centre SwisstimeHQ. Since its establishment in 1951, the Jowissa brand has produced multifaceted Swiss watches of exceptional quality. As an independent family business currently in its third generation, the brand has remained true to its ideals, first defined in the tranquil surroundings of Bettlach, in the canton of Solothurn. Here, great craftsmanship and cutting-edge production come together to create refined timepieces that combine style and sophistication. As a high-quality “Swiss Made” watch brand, Jowissa offers outstanding value for money in addition to the refined sense of style. The Jowissa brand was founded in 1951 in the Swiss town of Bettlach, in a region that has traditionally been renowned for the art of watchmaking. The brand name is derived from the name of the founder, Josef Wyss, whose vision for a new Swiss watch that is both fashionable and a treasured piece of jewellery came at just the right time. The wristwatch became the new accessory of choice in the 1950s, and with the launch of a sophisticated, fashionable, yet affordable watch collection, Jowissa immediately captured the spirit of the age. Over the following decades the brand established a name for itself due to the creativity of the designs. In the 1960s, pendant watches with cut glass became fashionable and Jowissa led the way with this beautiful technique. Similar to cutting a gemstone, glass cutting creates fine facets to reflect the light, and still today, Jowissa is one of the few manufacturers of Swiss watches to offer timepieces incorporating glass cutting. This technique, combined with outstanding value for money, has enabled the brand to establish a fine reputation in the market. As a watch manufacturer, Jowissa continues to adapt to new technologies and trends successfully. As early as the 1970s, the collection was enhanced by the in-house production of ceramic cases and in the 1980s Jowissa was able to adopt and implement newly-developed quartz technology to great effect. With Woodtime and Stonetime, the 1990s saw the introduction of timepieces in innovative cases created out of wood and stone. This traditional family business has kept abreast of fashion and technology, offering an online shop and an array of products with a high recognition value, combining elegant materials with fashionable colours. The brand is currently represented in 30 countries with over 400 sales outlets. Today, as it did 65 years ago, Jowissa still represents the art of exceptional Swiss watchmaking. Choosing the Helvetica font as a muse, with its quintessentially Swiss values and style, has enabled the creation of a time-tested yet harmonious watch collection. Just like the type font, Mondaine Helvetica is discreet, yet strong in the conviction of providing efficient time-keeping in a tempered recognizable form. The font translated to a watch design is something that is incredibly simple at first glance, but which has little quirks that are only noticed when studying the watch. The date aperture is slightly off its traditional central axis position to fit in with the typography of the dial. The Helvetica number “1” with its famous curved crossbar has been used as model for the lugs. which function entirely without the need for external light or energy sources. The high quality level of traser watches is upheld through the rigorous choice of materials and the continuous monitoring of all processes. This level of quality control underscores the excellence of the processes, tools and traser‘s testing expertise. It is an asset that enables the brand to offer products of superior quality. + Swiss Made. Staying true to our culture, everything is based on Swiss quality standards and as always, building quality takes first priority. Only 5% of all watches worldwide are made in Switzerland, with Manfred+Cracco claiming a strong presence within these charts. + The Cross. A unique design element, engraved in the sapphire crystal and on the crown of our watches. It functions as a quality label and symbolises the Manfred & Cracco duo, our vision and our growth towards the future and the dynamics of our wearer when the crystal reflects at the incidence of light. + Convertible. Mix and match to suit your mood! We created convertible straps to match your mood, outfit or occasion, symbolising the dynamics and flexibility of our wearer. + Materials. In our 85 years of proficiency, we have hunted the entire globe only to find the best suppliers and collaborations. Manfred+Cracco stands for superior quality materials, without losing our sense for fashion. Both design and quality complement each other, which leads to timeless watches that last a life span. Lombardstraat, in the heart of Brussels, but later moved to a mansion in Wemmel. Under the supervision of the Aebi family, the Rodania brand maintained its position as an important player in the watch industry and successfully opened a subsidiary in France. They also started exporting the watches again. After the retirement of Manfred and Simone Aebi, the children took over the business from their parents and assumed directorships within the company. The company wanted to maintain its position in the Benelux but also had bigger international aspirations. The family therefore decided to attract foreign capital by means of Belgo-Dutch investment group BV Capital Partners. The family sold the company to this investment group and is no longer shareholder. It was then acquired in 2015 by Belgian investor Philip Cracco. Rodania is now beginning again to impose itself on the international market. The brand offers quality watch largely comparable to very large luxury brands, but with a very notable point on value for money. In 2010, Rodania celebrated its 80 years of watch-making and re-introduced automatic models into its collection. Xemex – a Swiss Success Story Since 1996, designed by Ruedi Kuelling. The timepieces of Xemex Swiss Watch have evolved from well-guarded secrets known only to a handful of design aficionados to cherished collector’s items. In 2000 and 2001 Xemex did win the first place in competition for design innovation of the year in Germany and the US.Ruedi Külling lives in Zollikon-Zurich, Switzerland and has won many international awards for his designs. The Xemex line sprang from his design theses – simplicity, clarity and unity. Watches of high quality design which are easy to read and comfortable for the wearer. Xemex timepieces have won twice the title "Watch of the Year" for its unique design and workmanship. Some of Külling’s posters are on permanent exhibit in the Museum of Modern Art, New York. Watches and other product designs are on exhibit at The London Design Museum, The Chicago Museum of Architecture and Design, The Museum of Modern Art, New York and The Guggenheim Museum, New York. traser Australia, traser H3 Australia, Mondaine Australia, Jowissa Australia, XEMEX Australia, Manfred Cracco Australia.